Kerry joined our firm in 2014 and serves as our Health Benefits Coordinator. 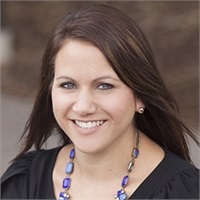 She is responsible for providing businesses and employees with consistent service and tailored health benefit plans to fit the goals and objectives of our clients, whether it be a large multi-state business or an individual. In today’s rapidly changing healthcare environment, there is nothing more important for you, your family, and your business than having a resource to help you navigate the many laws now in place and the choices available. Kerry is that resource for Summit Group clients. Kerry is a graduate of Old Dominion University where she earned a B.S. in Business and Public Administration and is licensed in Virginia for Health Insurance, Life Insurance, and Annuities. She has spent a majority of her life living in Virginia Beach, and believes there is no better place to live!